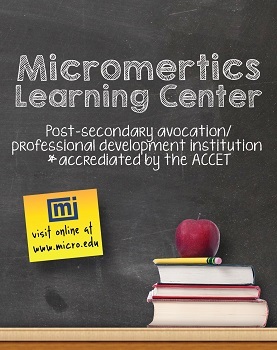 Micromeritics Instrument Corporation is proud to announce its national accreditation as a Post-Secondary Avocational/Professional Development Institution by the Accrediting Council for Continuing Education and Training (ACCET), an accrediting agency recognized by the United States Department of Education. Attendees of Micromeritics Learning Center (MLC) courses can now earn nationally accredited Continuing Education Units (CEUs) for completion of instrument operator training. This achievement further demonstrates Micromeritics’ commitment to producing the highest quality materials science instruments and services. The company has maintained its certification as an ISO 9001:2008 Quality Management System for designing, manufacturing, and servicing analytical instruments since 1994 and offered cGMP-compliant material science laboratory services since 2004. ACCET has been granting accreditation to schools since 1974 and has been officially recognized by the U.S. Department of Education since 1978 as a “reliable authority” on accrediting institutions providing quality education. ACCET is also ISO 9001:2008-certified since 1998; the only recognized accrediting agency to be certified at this prestigious level.